Debuting for Australia in 1952, Richie Benaud OBE would become one of Australia's great all-rounders. Leading fellow players as captain from 1958 this consistent leg spin bowler and explosive batsman guided the Australia team to the top of the sport until 1964. Now immortalised on this legal tender coin, Benaud's legacy will endure for centuries to come. The early 1950's saw the Australian national cricket team struggle to maintain the heights of the Bradman era. Richie Benaud rallied the players in the second half of the decade with the team again holding position at the sport's top spot. Before retiring from cricket in 1964 Benaud had already taken steps towards continuing his contributions to the sport, through journalism training with the BBC in the UK and writing his first book. For almost five decades after retirement from the sport, Benaud brought the game to life with his live commentary. He authored several more books on the game and was inducted it no sporting halls of fame both at home and abroad. As an Australian inspiration Benaud was revered for his passion and commitment to cricket, his life now proudly commemorated on this uncirculated coin. 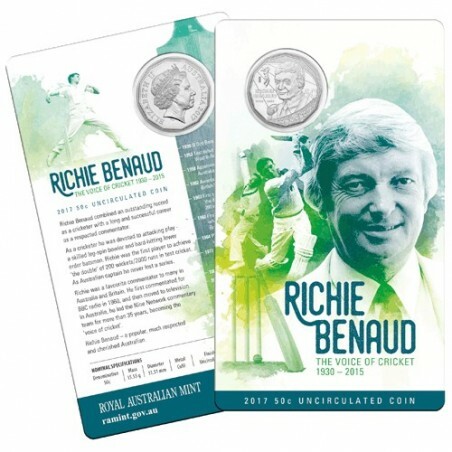 With the release of this coin Richie Benaud joins Sir Donald Bradman as an icon of cricket commemorated on Australian coinage. 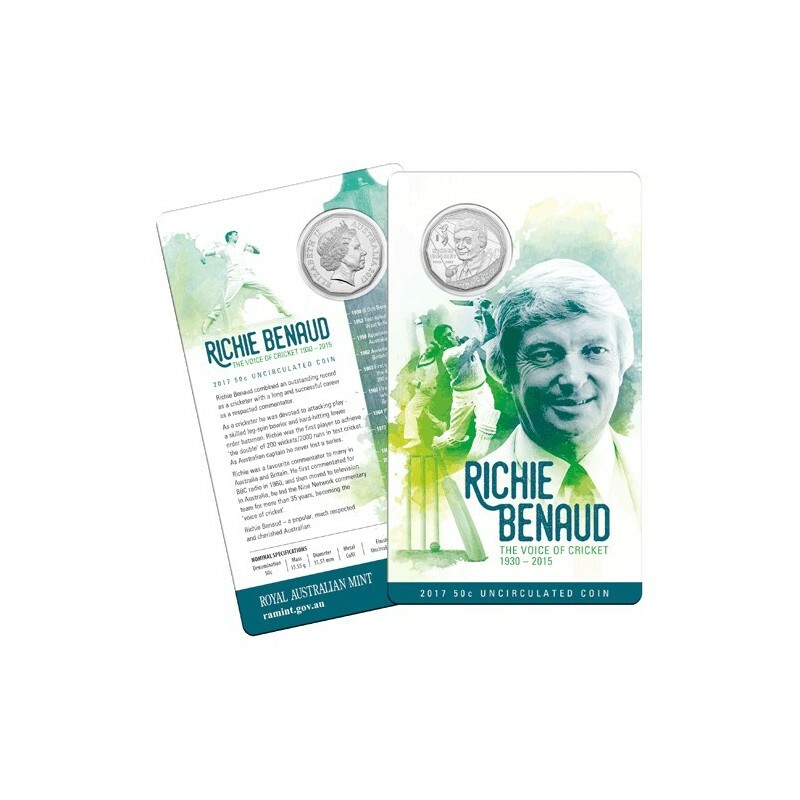 The reverse design explores the depth of Richie Benaud's career in many layers, from being regarded as a legend of the sport to his role commentating as the voice of cricket. Each coin is finished to the Royal Australian Mint's high uncirculated standard. Strictly, limited mintage of 95,929 statistics from Richie's first class cricket career. The obverse design features the effigy of Her Majesty Queen Elizabeth II by Ian Rank-Broadley.